I had the pleasure of doing 9 weddings in 2018, in addition to two photo shoots. Overall, I am proud of the wedding work I did this past year. I enjoy this form of art and creating immensely! 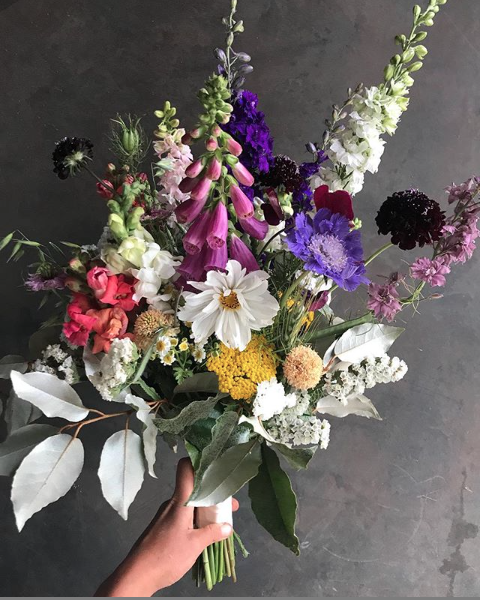 All of my clients were happy with their flowers, and I am excited to share some of it with you here. In this post, I chose to highlight the bridal bouquets from these weddings. The bridal bouquets are undoubtedly the stars of wedding flowers. They are the pieces that usually give florists most anxiety. There is a lot of pressure to create the perfect piece and then we always wonder, will our client like it!? Did we live up to their expectations? Creating bridal bouquets has become easier, more relaxed and fun, over the years for me. I usually put on my favorite music, and drop in to a purely meditative creative space. I allow myself the freedom to flow with what feels right and I get completely lost in the art of designing. I’ve learned that, if given full creative freedom, my floral art tends to be more “wild and free”. Bohemian is a good way to describe it. 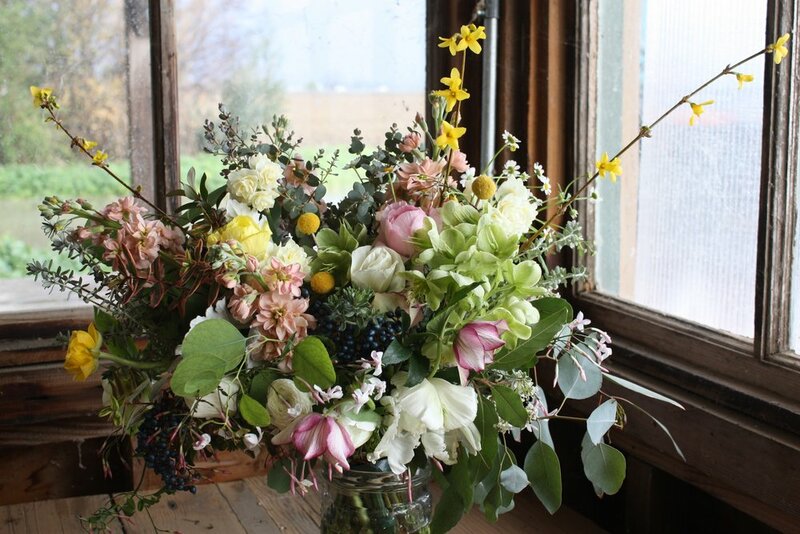 I incorporate lots of texture and flowers that have been picked at the peak of perfection. Because I am also the farmer, every bloom is so ultra fresh often picked just a few days before the wedding. 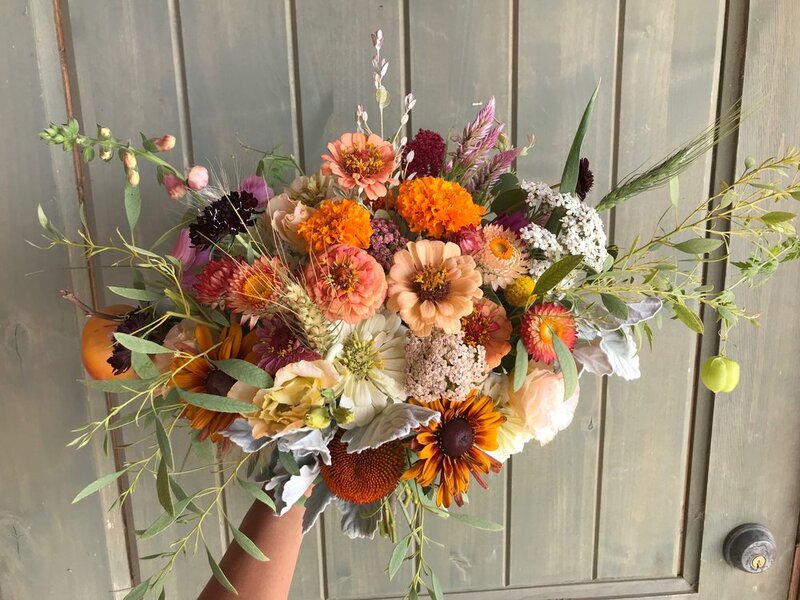 I feel like the quality of flowers also adds to the unique beauty and design of my wedding flowers. 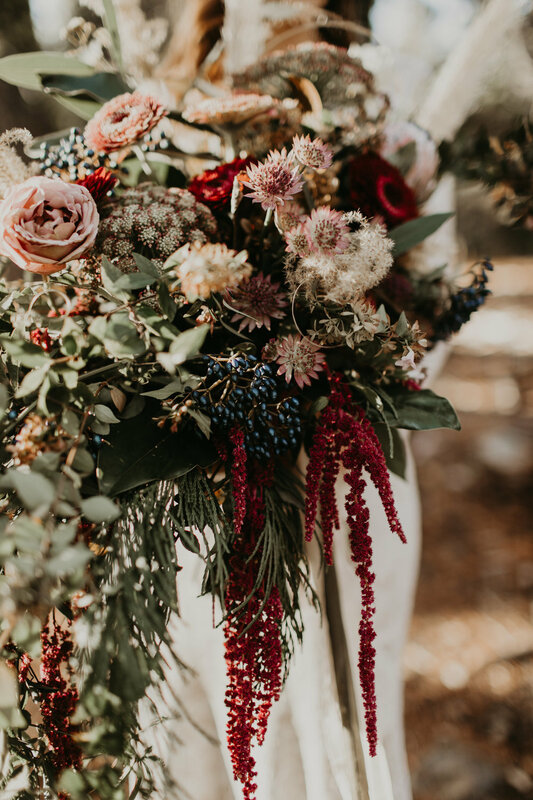 Enjoy this scroll of 2018 bridal bouquets, in seasonal order starting with Winter and moving into Spring, Summer, and ending with Fall. I’m looking forward to creating more in 2019. 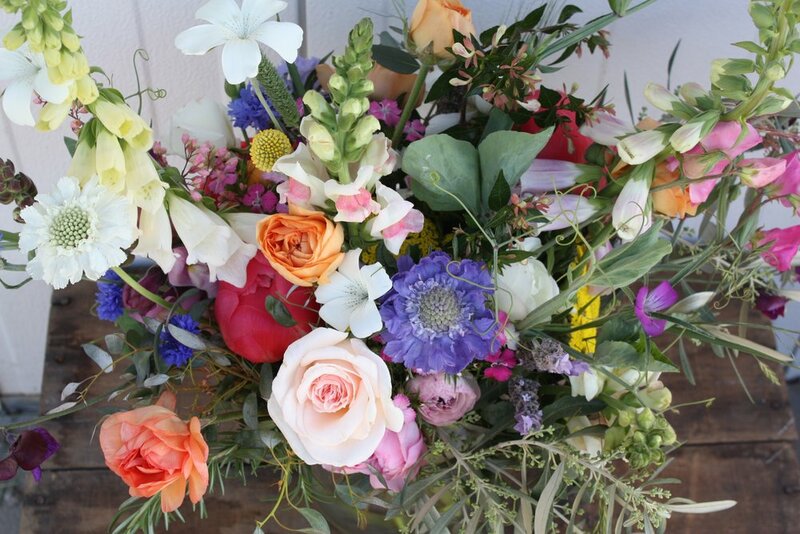 Get in Touch if you are planning a wedding and need a florist who values fresh, local, seasonal flowers!